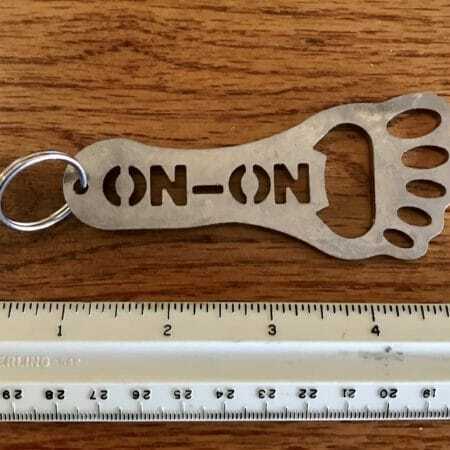 Metal Foot Bottle Opener and Keychain – The Online Hab Bazaar! 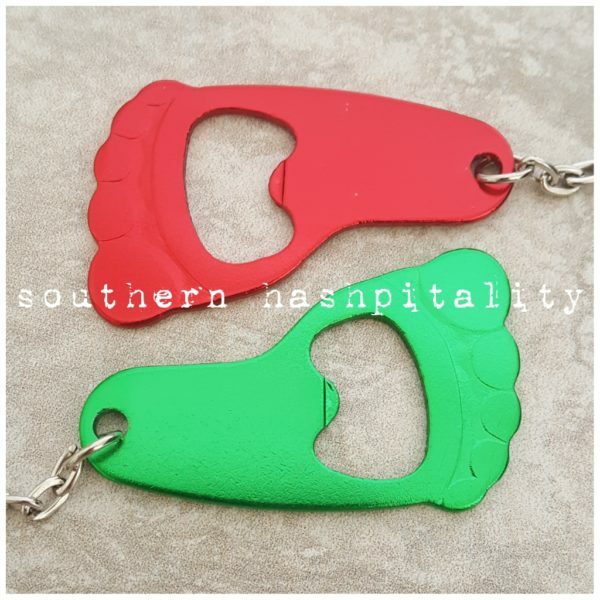 2 1/2 inch metal openers in the iconic ON-ON foot shape. 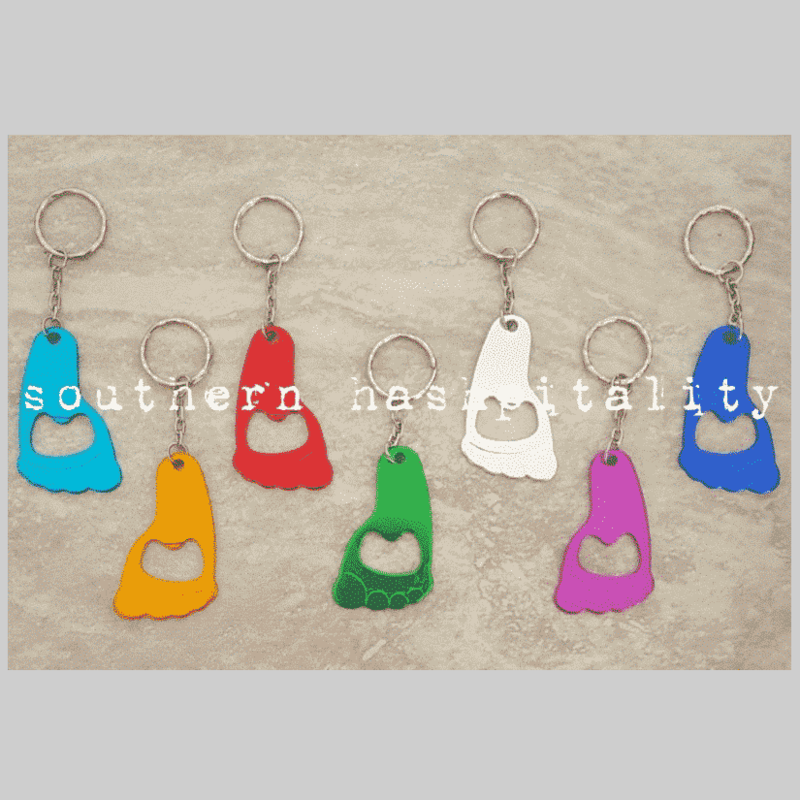 Available in 7 colors: Aqua, Blue, Gold, Green, Purple, Red, Silver. Buy a 5-Pack and save $5!